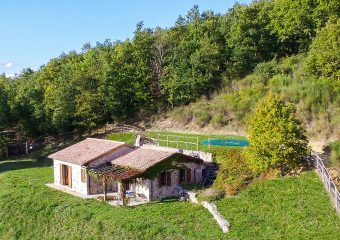 Are you looking for the best Umbria Holiday Villa Rentals with great activities, food and wine programs? Then…you are on the right track! Stay in our Umbria holiday villa – an ideal location for families and friends vacation. Umbria is located right at the center of Italy, within easy reach from Rome and Florence. 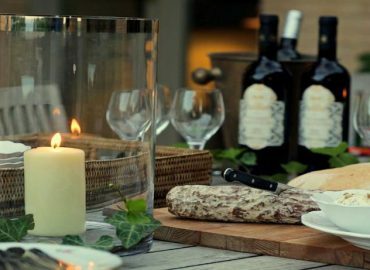 It is a beautiful region with many ancient hill towns, family run restaurants, medieval castles surrounded by wineries and it hosts many food festivals all year round. Umbria’s landscape is home to millions of flowers in summertime, the glorious foliage of fall, and is partially hidden under oceans of mystic mist on some winter days. A cozy and comfortable villa into the nature! With over 20 years of experience in Villa rentals.... We always go the extra mile for our clients. Just unpack, unwind, enjoy local wine upon arrival at Umbria holiday villa. In your Umbria Holiday Villa we are very proud to offer an “Authentic Italian Cuisine” experience. 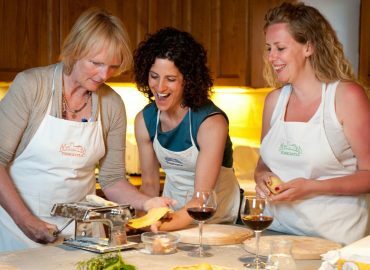 Right at Umbria holiday villa, you can learn and participate in the preparation of local recipes. It’s a big community party and let’s have lots of fun with the fresh olive oil making process. Truffle hunting in Umbria is fun, and the truffles will be yours. This program includes a selection of wines, cheeses, prosciutto, salami and other finger food. You can partake in horse back riding or enjoy a nice relaxing carriage ride in the countryside. Get rid of that gameboy, Ipad and digital world and go wild in the nature! Get back into shape with some good old fashioned outdoor activities! Airport transfer service to our Umbria holiday villa is available upon your needs. Owner Mario Santoro is the perfect guide to the area – full of local knowledge and ideas, he provides instant answers to all questions and treats his visitors as if they were friends. Loved our week at Villa Pianesante. Our host, Mario, made us feel right at home. Location is convenient to the train; which we took to both Florence and Rome. Mario is so kind and helpful and made our stay one that we hope to repeat next year. Our host Mario was very helpful in each matters. Thank you for a wonderful holiday! The management is just fantastic and walking distance form the house there is a fantastic local traditional restaurant with a children playground. Our host Mario is a very warm and kind person who goes out of his way to make sure you enjoy your stay. The local produce is by far the best we have tasted during our travels and Mario is the ultimate host as nothing is ever too much trouble. We found a bottle of oil, wine and fresh flowers in every room … nice details that make the start of any even more pleasant holiday. Our arrival and ‘was warmly welcomed by Mario, the owner and’ fascinating entrepreneur of Roman origin, courteous, kind, funny and personable and professional, in short, of those who did not are almost no more.